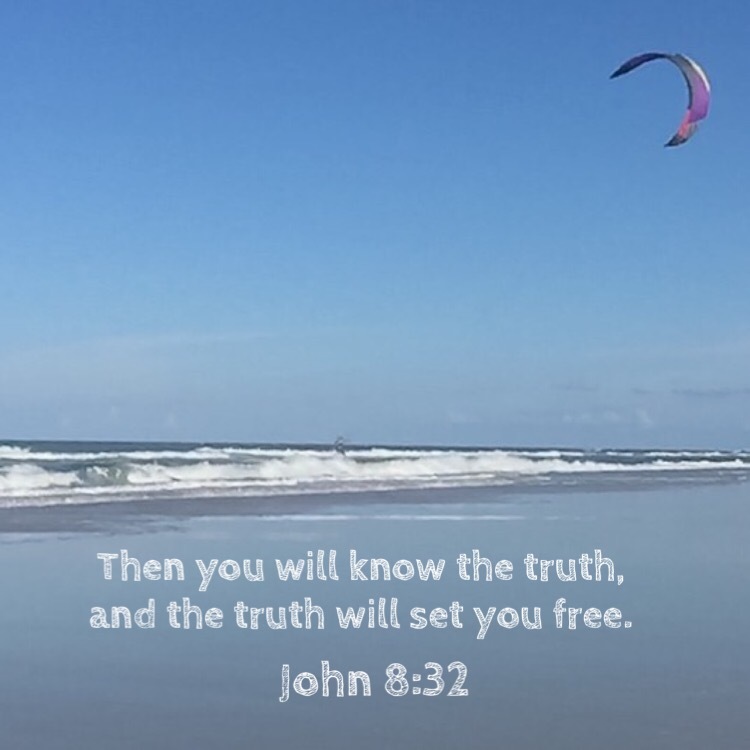 Will you choose truth and freedom in Jesus Christ? His coming is as brilliant as the sunrise. Rays of light flash from His hands, where His awesome power is hidden. I know God is great and powerful. I know He is the maker of all things. I know He sustains every living thing. Yet, I don’t know how to even begin to imagine what seeing God’s glory in Heaven would be like. After work today, I decided to stop at a large grocery store. I was still wearing my identification tag on my shirt. That’s not a problem really, unless I don’t want to be identified. As I pushed my cart through the store, I said, “excuse me” to someone that I needed to pass at the end of an aisle. Seconds later, I heard my name being called. I turned and it was the man that I had passed by. He wanted to tell me that there was another woman in the store with my same name. Evidently, she was wearing an identification tag of some kind, too. I guess he thought it was rather interesting for that to happen. As I checked out my groceries, the clerk who rang up the order also called me by name, yet I had not met him before. He also had read my identification tag. I began to think about this. My name is my name no matter how I behave. If I am wearing an identification tag, others simply read it and determine who I am. I have no identification to wear to inform others that I am a follower of Jesus, however. Certainly, I could wear Christian t-shirts with messages or scripture on them, but that doesn’t really prove what I believe. I could wear jewelry that is associated with Christianity. Once again, doing that doesn’t really prove anything. But how I act and what I say gives evidence to who I am and what I believe. What is my tone of voice? Am I helpful are hurtful? If I love others in the way that Jesus wants me to, people will take notice. They may stop me in a hallway just to ask about my faith. IF I love others the way Jesus wants me to. Do other people see me and identify me as a follower of Jesus? God can make a storm be still. He can hush any wave. What storms are you facing today? God is bigger than the storm. God split rocks and provided water for His people in the wilderness long ago. He is able to do the miraculous in our lives, too. I’m interested in understanding just exactly what grace is. What it means, what it does. For as long as I can remember, I’ve thought of grace as being the unmerited favor of God. We don’t deserve to have eternity in Heaven offered to us, because we are all sinners. Yet, Jesus died so we could be forgiven. We are saved from spending eternity apart from God if we believe. I understand that we are saved by grace. Somehow, I want to go further with my understanding of what grace looks like in the life of a believer on a day to day basis. As I was driving home today, I saw a church that had the word COFFEE on their sign outside. I had not seen this before. Sometimes, little illustrations can lead to very significant conversations. Thousands upon thousands of people drink coffee every day, many of them while in the company of others—at work, school or in a restaurant. How simple it would be to just relay those six very important words linked to the letters in “coffee” to someone who does not know about Jesus and what He has done for all of us. I know that it is something I want to remember as a way to share about God’s plan of salvation. After Jesus rose from the dead, He appeared to His disciples. Recently, I was talking to someone who was interested in learning to play the guitar. When learning to play, it takes time to build up callouses on the tips of the left hand fingers so that pressing the strings down doesn’t hurt. Understanding this means that an aspiring guitarist must work through a little discomfort while learning the new skill. In this instance, callouses are necessary and helpful. There is a slight trade off, however. In the places where the callouses form, highly sensitive feeling can be lost. It becomes difficult to differentiate what is being touched at other times, such as noticing the difference between cloth or plastic. In the same way, the soles of our feet become calloused if we walk barefooted on a regular basis. That can be helpful if we need to be without shoes. But what if we don’t want to have callouses any more? Pumice stones are sold at thousands of stores, providing an excellent way to exfoliate the hardened areas of our feet or hands, exposing the more tender skin underneath, allowing us to sense the surfaces we are touching and those we are walking on in a new and fresh way. Having a hardened or calloused heart isn’t the same as having calloused fingers or hands. If we have hardened and calloused hearts against God, we may no longer feel any need to even consider who He is and the marvelous works He has done. The blessings we could be enjoying are bypassed by our indifference. 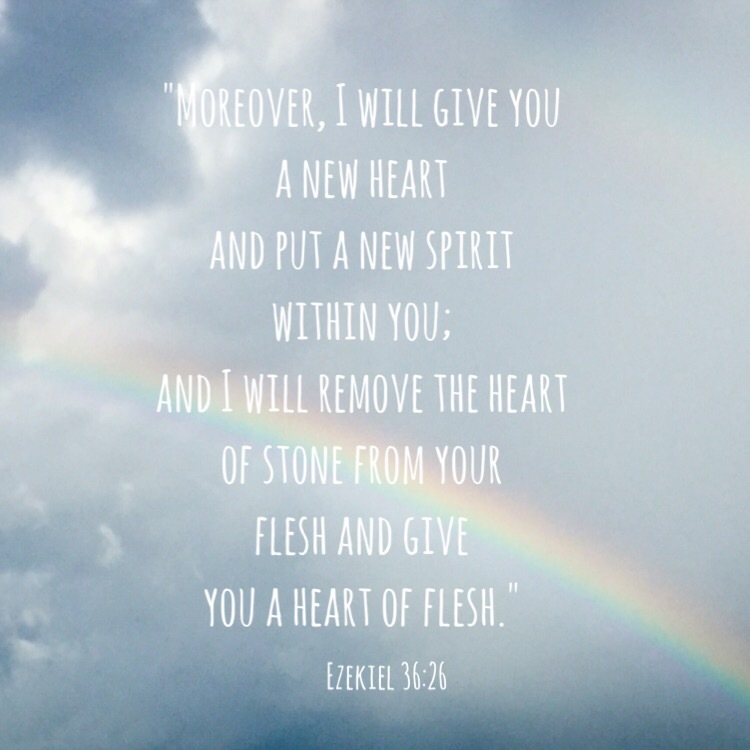 God can remove the callouses and soften our hearts. 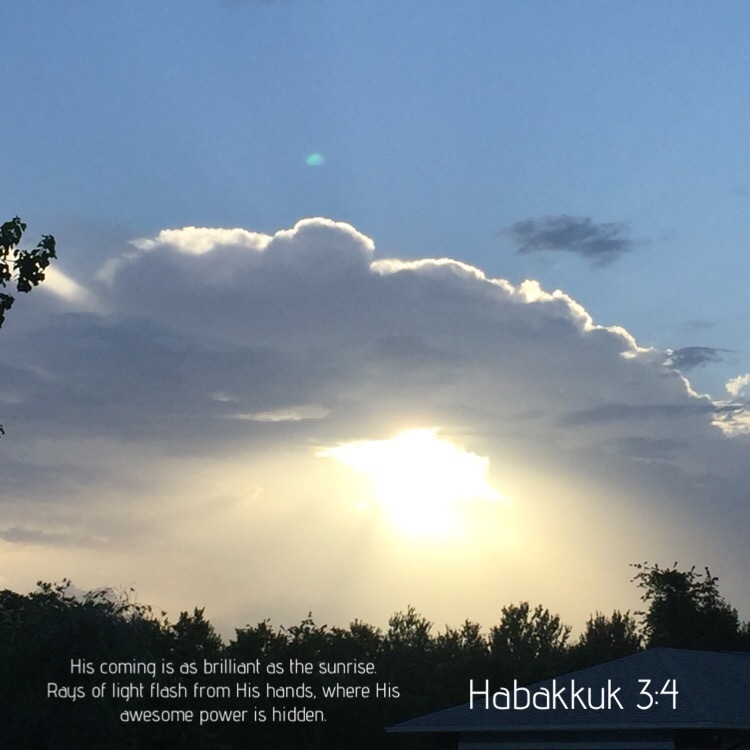 Like a pumice stone, He can eliminate the hardened and unwanted attitude, giving us a clear path to feel His love, His kindness and His mercy in a new and fresh way. Don’t depend on your own wisdom. 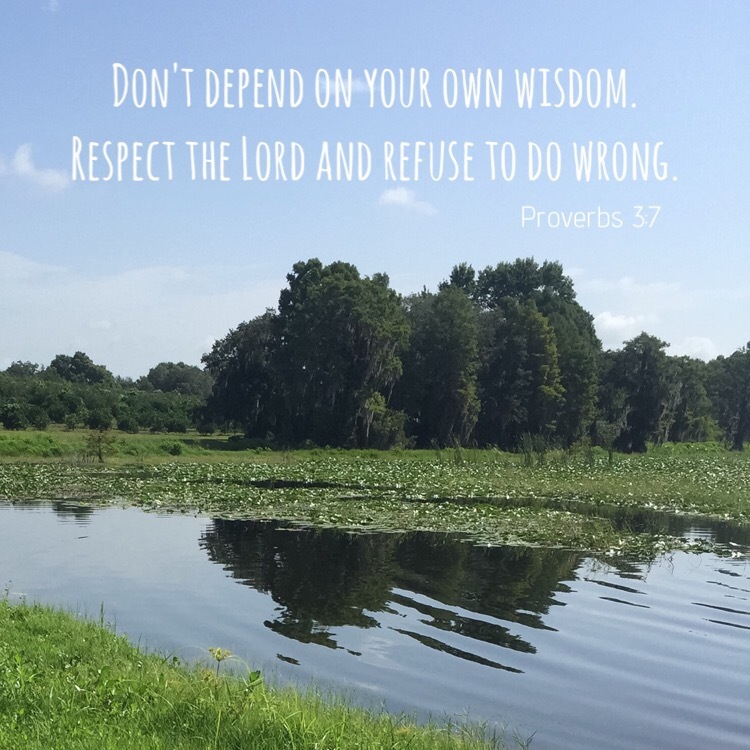 Respect the Lord and refuse to do wrong. My husband and I were spending the day at the ocean. We decided to buy tickets for a boat taxi. When tickets are purchased, the boat taxi will take groups of people to certain destinations on the coast and come back at later times to pick them up. At a stop we had chosen, we got off the boat and walked a short distance to a road. I had my cell phone with me, so I consulted a GPS application on it. We had been told of a waterside restaurant not far away. Looking it up on the GPS, I selected “walking” as my mode of transportation. Faithfully, the instructions and maps provided led us to our destination. The route involved walking down a dirt path/road with trees that made a canopy overhead. Could this really be the short hike to a restaurant? It didn’t feel like it was, but we needed to trust the GPS. After awhile, we came upon a park and finally, the restaurant. If we had decided to go another way that might have seemed better, we might not have made it there at all. Proverbs 3:5 tells us to trust in the LORD will all our hearts. We are not to lean on our own understanding. God may lead us to a “rural path” in life when what we’d expected was a nicely paved city street. When that happens, we must trust that He knows exactly where our destination is. A GPS system can be flawed and sometimes there can be problems. God’s direction, however, is never flawed. We can always trust Him. I heard a sad story today. It was about a church that needed new flooring. Some of the members wanted a tile floor. Other members wanted a different type of floor. A vote was taken and the decision to purchase tile was made. Many people (about half the church’s membership) who did not want tile installed, stopped attending church there. How important is it to have our way? 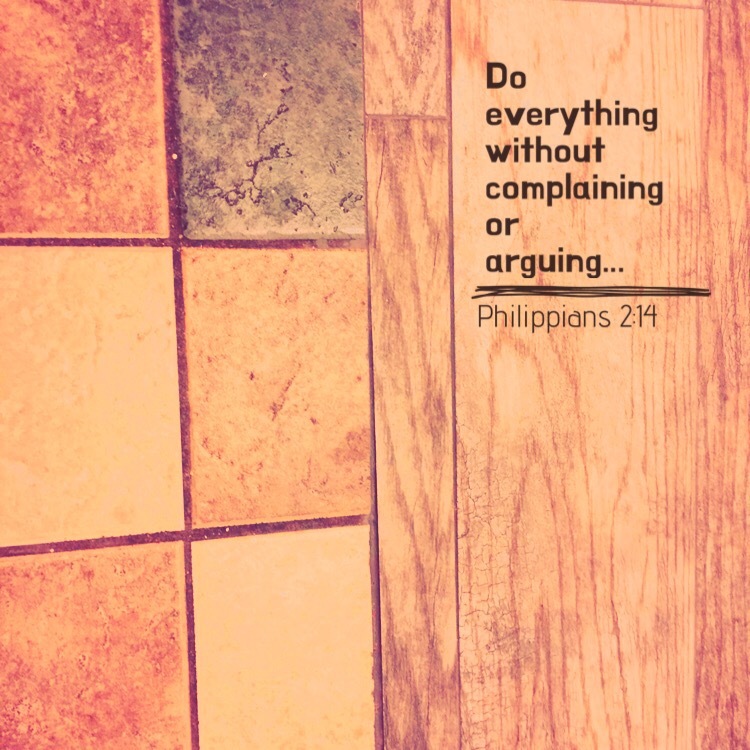 Do everything without complaining or arguing, so that you may be blameless and pure, children of God without fault in a crooked and perverse generation,a in which you shine as lights in the world as you hold forth the word of life, in order that I may boast on the day of Christ that I did not run or labor in vain. Do you have a favorite place to sit when you go to a ball game? Is there a certain pew that you seek out when attending church? As a child, if you walked to school, did you have a particular route that was your favorite? In doing some research about how long it takes to form a true habit, it seems that it may take several several months, depending on the activity desired. To be fair, it’s probably easier for most people to create a habit of stretching for five minutes when they wake up in the morning than to create a habit of jogging for 30 minutes. Both are attainable habits to form, given the inspiration and the will to follow through with the commitment. Good habits aren’t all about exercise, however. Character traits can also become habitual. Psalm 106:3 speaks of someone who acts justly and always does what is right. As situations arise, each of us has the ability to choose our course of action and response. Will it be one of integrity? 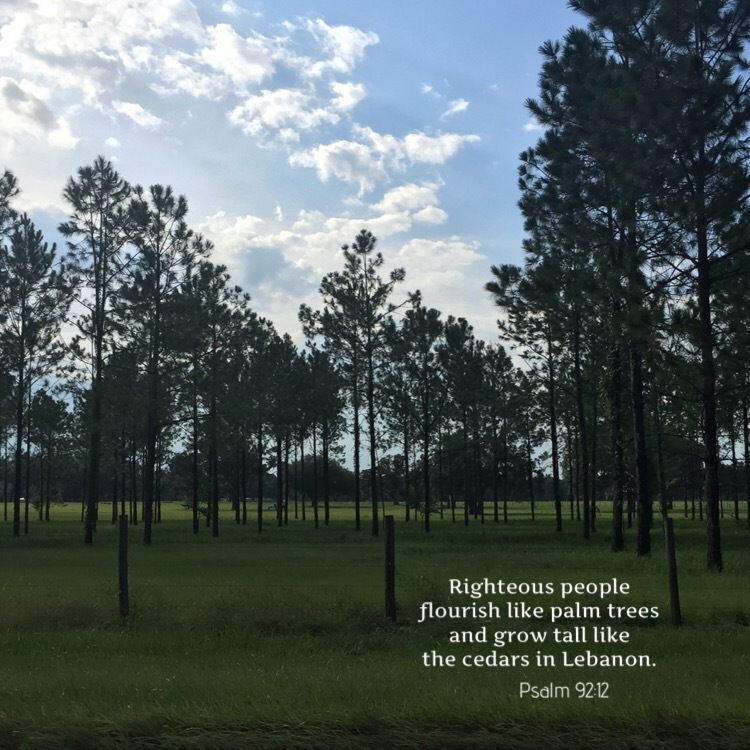 Will it be pleasing in God’s eyes? In making a conscious choice over and over again that falls within the realm of honor and virtue, we create a character pathway that becomes somewhat of a “favorite” to us. If we act in a determined way for a long period of time, we are likely to continue to do so, unless we come to a great motive to change. If a serpent strikes despite being charmed, there’s no point in being a snake charmer. I am not a “snake” person. Whenever considering creatures to bring into my home as a pet, I never put snake on the list. At some point in my life, I have seen video clips of snake charmers, as well as photos of them. As for me, I wouldn’t want to be anywhere near a snake, attempting such an activity. The verse above seems to suggest that there is danger in choosing to be a snake charmer. There is a very real risk that a person could be bitten, yet there are other implications. When I try to apply this to my life apart from snakes, there seems to be a significant idea. If it’s likely that I will be harmed by a certain choice that I am about to make, what’s the point in making that choice? If there are alligators in the water, what’s the point in going swimming? If smoking cigarettes causes lung cancer, what’s the point in smoking? There probably aren’t many people who would choose to swim with alligators, but there are countless people in the world who smoke, despite warnings to their health. Will we make wise ones? How do you think most people react when they know they have done wrong? Would you think a small child hiding behind the couch after they have broken a vase in a room they were told not to be in would be a normal response? If you feel that most people have the urge to hide, I would agree with you. Hiding doesn’t always look like hiding, however. If we know that we are not living the way God would have us to, we may firmly decline any invitation of a friend to go to church. If we know that we’ve done something we shouldn’t have, we may not pick up the Bible to read it. Just because our natural tendency might be to hide, the behavior needed is exactly the opposite. Instead of hiding, we need to run to God with our failure. When we fail, we can go to God. Only asking for and receiving forgiveness and comfort from our heavenly Father will bring the peace we long for.